When signing a contract, you need to be aware of exactly what you are signing. With very few exceptions, contracts are legally binding documents, and there won’t be much you can do once your name is on them, unless the other party is willing to renegotiate. Some contracts, like the terms and services of your favorite streaming service, aren’t that serious, but others, like a rental agreement, can cause some pretty big problems if you don’t understand them. So what contracts should you have a lawyer review? Whenever you buy land or property, you make an agreement in writing. It’s necessary to determine who holds the title home or piece of land. The contracts are made to guarantee that you buy, sell, lease, or exchange the property legally. Before you buy or invest in real estate, have a lawyer look over the terms of your contract. Understand the condition of the entire estate that includes the building, HVAC system, and personal property. You have to know which items are included or excluded from the contract. When you are starting a business, there will be a lot of paperwork and a lot of contracts. You will need to create contracts for the establishment of your business, with your suppliers, with your clients, and with your employees. Instead of trying to create these contracts on your own, talk to a lawyer. Not only can they draft them for you, they know what areas you need to cover, and how to make them legally enforceable. When renting a car, an apartment, or a home, you will be signing a lease or rental contract. 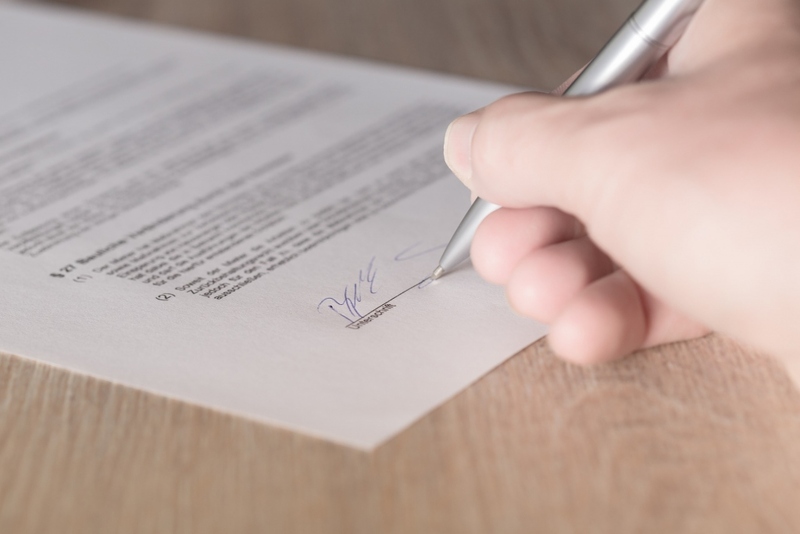 These contracts tend to be a little more straightforward than your average contract, but they can still have parts that may be confusing or worrisome. If you aren’t absolutely certain you know what something means, make sure you take it to a lawyer first. Once it is signed, you will have to pay extra to leave it early, and you don’t want to end up with an undesirable situation that you have to pay to get out of. A licensing contract is designed to protect any intellectual property. This contract outlines the rights given to the creator or owner of intellectual property, allowing you to control how your work is distributed or allowing a creator to protect their work. Copyright laws are some of the more well-known licensing contracts. However, not all countries protect intellectual property in the same way. When distributing work, make sure you are aware of how to protect it, and that you have a lawyer help you draw up any contracts or protections your work needs. It may seem like a bit of a hassle to get a lawyer involved, but when it comes to legal matters, it is always worth it. Make sure you work with a well-respected lawyer and that you are always reading through all of your contracts.